Aesthetics is concerned with bringing art into the daily lives of the people. Like people need colorful, designer clothes to wear and taste and presentation of food. Likewise, people like to live and work in places that are beautifully designed and are aesthetically pleasing to the eye. 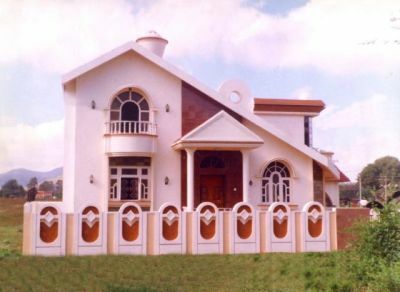 When a building is designed, the aesthetic aspects can be satisfied using elements such as sloped roof, decorative columns, roofs for window elements, and semicircular and segmental arches. All these qualities are collectively important, and can have an important impact on the design. Architects bend these rules all the time. We all know about Organic Architecture and Deconstructivism. Beauty lies in the eyes of the beholder. It is just a perception of the person viewing them. If your design is functionally efficient and aesthetically good, and the client likes it, then you don’t need to worry about anything. This entry was posted by Benzu JK on March 10, 2010, 11:19 am and is filed under Architecture. You can follow any responses to this entry through RSS 2.0. The Topic is interesting, revealing many things concerning architectural Designing.